If you have discovered bed bugs in your mattress and bedding, then you are probably interested in learning how to get rid of them as quickly, cheaply and painlessly as possible. However, it is important to learn about the life cycle of bed bugs in order to fully understand what you are up against. If you notice several generations of bed bugs around your home, then it could be a sign that the infestation has been around for a while. This information would be helpful to an exterminator because this indicates the severity of the infestation. In order to identify if there are several generations of bed bugs in your home, you need to be aware of what each stage looks like. 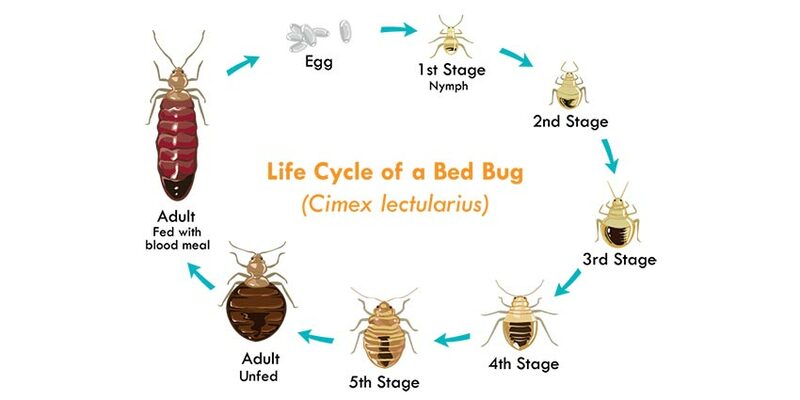 There are essentially seven stages to a bed bug’s life cycle. Bed bugs start their lives in eggs, which have a milky white color to them. These eggs are about one millimeter in length, so they can be a little hard to see because they are comparable in size to a couple grains of salt. How Fast Are Bed Bugs Able to Breed? It can be a major headache to you have bed bugs in your home, but it is best to act quickly and contact the professionals to come out to your home to fumigate. 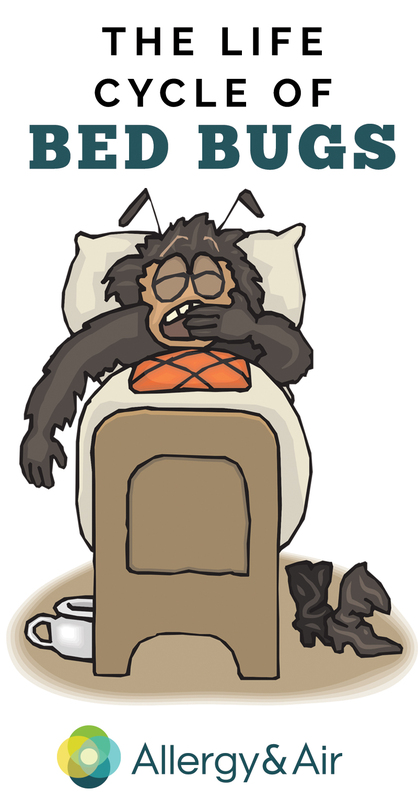 Before you know it, you will be rid of the pests and can finally get a good night’s sleep once again. I have severe reactions to the bites. They itch LOTS and the only thing I have found that will give me relief is to run water that is as hot as I can tolerate w/o burning me over the bite for at least 45 seconds. This process is effective for several hours, but is not a cure. 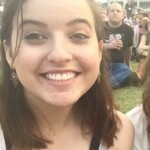 Is there anything I can apply to my skin which will kill the bug after biting me? That would be really nice! (our infestation was mild in comparison to some, but I’m still finding one or two every couple days. What I can’t understand is why bed bugs were a thing of the pass a joke in poems. ( Sleep tight and don’t let the bed bugs bite) why are they now coming back? we live in a small town here in Kansas and every one now not only have them but can’t get rid of them. purchase 91 percent alcohol and spray daily this strength alcohol kills them. We have had these guys for over a year and I can not get rid of them. We have taken our bed apart, vacuumed, sprayed several different types of bed bug sprays, threw away furniture an washed our sheets pillowcases once a week in hot water and can not get rid of them. Is thee any spray that you can recommend to get rid of them? Make sure the beds are clean…spray with high alcohol content in all crevices and cracks. Encase the beds if needed. Keep checking corners and areas for markings. Once the bed is clean/protected put bed bug interceptors on all the legs and don’t let anything touch the ground. This will keep your bed from getting re infected and let you sleep soundly. Then spread diatomaceous earth all around the ground in all areas you are worried about them. It takes time, but they will die and anytime they cross the floor they will die shortly after. Magnesium ions spray is the best yet. Any pharmacy should carry it. Cedarcide will kill them, also will kill mosquitoes, ticks, fleas and anything else that is parasitic! You can order it online and saved my friend. We have been fighting a severe infestation in public housing. We started with three weekly sprayings by a commercial exterminator. Then we began using “Diatomaceous Earth” – a bedbug powder sold at WalMart and various other places. This is a white powder made of microscopic seashells. When the bugs crawl across it, it scratches their shells and causes them to dehydrate and die. It is not a poison and they cannot become immune to it, but in order to completely eradicate the bugs you have to leave the powder down for a week, vacuum it, and then repeat. – It is a mess, but also effective against crickets, roaches, and other pest insects. After five weeks, we are beginning to get a handle on things, but I plan to treat for another month. We put the DE on drawer glides, under furniture, in crevasses, corners of rooms and furniture, anywhere the bugs can crawl.